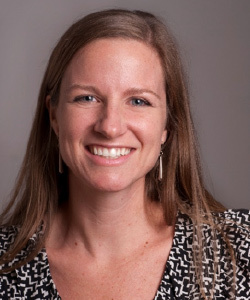 Amy Conger is the Associate Vice Provost and Director of Global Engagement at the University of Michigan (U-M). In this role, she supports international platforms for multidisciplinary research, student programs (currently China, Ethiopia, and India), institutional partnerships, and legal agreements for student mobility. As a former Director of International Engineering Programs, she has extensive experience in program development for STEM education abroad, internships, and co-curricular design/service learning projects. Dr. Conger continues to teach ENGR 260: Engineering Across Cultures and co-leads research in the development of culturally informed design skills and the integration of ethnographic methods in engineering education. She also manages a large-scale assessment project for Engaged Learning at Michigan. In terms of operations, Dr. Conger manages the U-M Global Engagement Team, a central service and consulting group for all academic units offering international programs. She co-develops and implements campus-wide policies for education abroad (academic credit and co-curricular experiences) and manages campus-wide infrastructure for education abroad and domestic engaged learning (on-line application management system, university travel registry, Global Michigan website, and internal and external reporting). She earned her Ph.D. in higher education from the U-M, concentrating in comparative higher education and public policy. She earned her M.A. and B.S. from the University of Wisconsin-Madison. Her prior experience includes serving as an Advisor to the Fulbright Commission for Educational Exchange in Belgium, conducting fieldwork in the Republic of South Africa, and teaching English in the U.S. and Mexico. She represents the U-M as an elected member of the Global Engineering Educational Exchange (GE3) Executive Committee and as a member of the Fulbright National Screening Committee and the Boren Scholarship Panel. 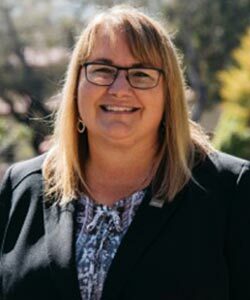 As the Senior International Officer for Cal Poly, San Luis Obispo, Dr. Vanderkar serves as a strategic partner in leading university global initiatives. She is engaged with faculty and the campus community on enhancing international partnerships and with initiatives involving international student retention and success, curriculum internationalization, and diversity and inclusivity. Dr. Vanderkar has extensive experience managing study abroad, exchange, and faculty-led programming; health, safety, and risk management; program development and administration; and consortium leadership. 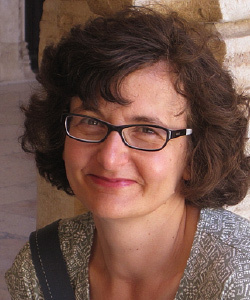 Dr. Vanderkar earned her Ph.D. in cultural anthropology at the University of Oregon, where she researched post-socialist transition in Eastern Europe and conducted an ethnography on Moravian village life in the Czech Republic. She has been in the international education field for over 20 years and has managed study abroad efforts for thirteen years. Dr. Cindy Price is the Vice Provost for Academic Affairs at Seattle Pacific University and has served in this role since 2014. Under Cindy’s leadership, the Vice Provost of Academic Affairs oversees General Education, Institutional Accreditation, Institutional Research, Global Engagement, Student Academic Services, and Study Abroad Initiatives. She is also involved in areas of academic planning, academic policies, strategic planning, parent programs, and faculty development. Dr. Price earned her Ph.D. in Sociology from Washington State University. 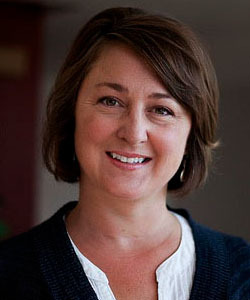 Prior to her role at Seattle Pacific University, Cindy was an Assistant Professor in Sociology at the University of Washington. Daniel J. May was named Provost and Senior Vice President for Academic Affairs at the University of New Haven in 2013. As the chief academic officer, he oversees the academic colleges and programs, library and information technology services, and staff members supporting high impact experiential education opportunities, including study abroad. He also oversees academic affiliation and articulation agreements, including the School-of-Record agreement with CEA. Provost May has overseen the establishment of satellite locations at the Orange, CT and Prato, Italy campuses; the acquisition of the Lyme Academy College of Fine Arts; and the development of the joint master’s degree program in data science with Galvanize, Inc. in San Francisco. He has guided the campus-wide review and prioritization process of its academic programs and administrative units, and fostered the use of information technology in instruction, evaluation, and assessment. Provost May earned his bachelor’s degree in geology at Stanford University and a Ph.D. in geology at the University of California at Santa Barbara. He served on the faculty at Victoria University in Wellington, New Zealand from 1986 to 1989, at Bowling Green State University in 1990-91, and at the University of Findlay in Ohio from 1991-2003. 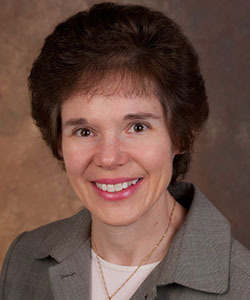 Dr. May chaired programs in environmental, safety, and occupational health management prior to becoming dean of Findlay’s College of Sciences in 2003. He served there as vice president for academic affairs from 2004-2013, overseeing the addition of innovative undergraduate majors, online offerings, professional graduate programs, and a variety of continuing education and consulting services. Dr. Helena Kaufman has over 25 years in the field of higher education and is currently the Director of Off-Campus Studies at Carleton College, where she has served in this role since 2000. Helena oversees all education abroad programs led by Carleton faculty and sponsored by academic departments. Dr. Kaufman also advises students on program options, works closely with Carleton faculty on the development of education abroad seminars and curriculum, conducts program and site evaluations, and ensures the academic integrity of Carleton’s education abroad programs. Dr. Kaufman interests and ongoing research in student learning outcomes, culture identity, cross-cultural studies, world literature and student assessment align with her active board memberships, which include: the Outcomes Assessment and Research Committee of the Forum on Education Abroad , the Higher Education Consortium for Urban Affairs (HECUA), Minnesota Study Abroad Professionals, the Association of International Educators (NAFSA), and Carleton College’s Global Engagement Initiative Steering Committee. 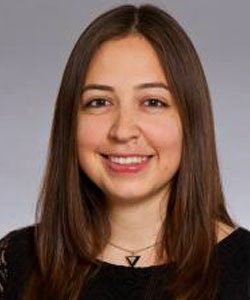 Prior to joining Carleton College, Helena was an Assistant Professor of Portuguese at Ohio State University. Originally from Poland, she received her bachelor’s degree in Iberia Studies from the University of Warsaw and holds an M.A. and Ph.D. from the University of Wisconsin-Madison in Luso-Brazilian Studies. Dr. John Peters is the Dean of International Programs at Marist College. In this role, he supports Marist students studying abroad over six continents and divides most of his time between the Marist Poughkeepsie and Florence Campuses. Some of his interests and experience include curriculum development, community outreach, intercultural communication, and program development. John is passionate about developing and helping to connect students with innovative, empowering international and intercultural experiences. Dean Peters received his bachelor’s in Economics and Japanese from California State University, Sacramento. He also holds a M.A. in International Studies from Ohio University and a Ph.D. in Political Economy from the University of Southern California. For more than 20 years, Lisa Chieffo has been involved with international education at the University of Delaware (UD): first as Study Abroad Coordinator in UD’s Department of Foreign Languages and Literatures, then in UD’s Institute for Global Studies. 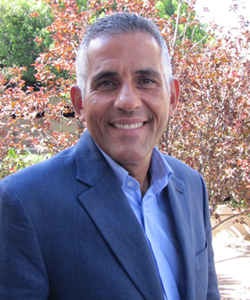 As Associate Director, Dr. Chieffo oversees over 100 study abroad programs and supervises program coordinators. She has led multiple research projects with a focus on student learning abroad, presented at international education conferences such as NAFSA and Forum, and published in professional journals. 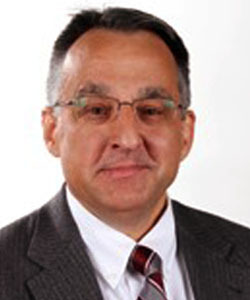 Dr. Chieffo’s areas of expertise include short-term education abroad programs and faculty leadership; education abroad assessment, adjunct instruction in education abroad; and educational leadership. Dr. Chieffo is co-editor of NAFSA’s The Guide to Successful Short-Term Programs Abroad (3rd edition forthcoming in 2018). She earned her Ed.D. in Educational Leadership, M.A. in German, and bachelor’s degree in Languages at UD. As a student, Dr. Chieffo studied abroad in Tübingen and Bayreuth, Germany and Vienna, Austria. 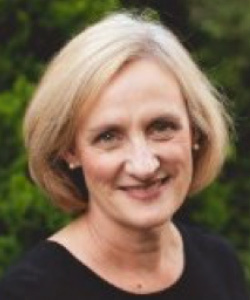 Dr. Martha McGivern is the Director of Study Abroad at DePaul University and is responsible for directing the strategy and implementation of study abroad programs across DePaul’s 10 colleges and schools. She oversees crisis and emergency responses for 80 annual programs. Her current priorities are program assessment, term-long program development strategies, and team leadership. 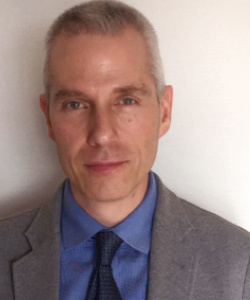 Prior to DePaul University, Dr. McGivern managed faculty-led study abroad programs at New York University and center- and hybrid-based programs at IES Abroad. She earned an M.A. and Ph.D. in International Education from New York University, with research focusing on issues of gender and cultural learning in study abroad, particularly as it plays out in cross-national relationships among peers. She regularly teaches a course on international partnership, project management, and proposal writing in the Master’s of Global Health program at Northwestern University. Dr. McGivern’s international experience is strongest in Latin America, including doctoral research in Mexico, volunteer teaching in Ecuador, and undergraduate study abroad in Argentina. Samantha Potempa is the Assistant Director for Study Abroad at Illinois State University. Ms. Potempa leads the Study Abroad Unit and serves as the External Communications Coordinator for the International Educators of Illinois. Some of her primary responsibilities involve study abroad risk management and program development. Previously, she worked as a Study Abroad Coordinator at the University of Wisconsin-Eau Claire, where she served on the Latin American Studies Committee. Samantha enjoys sharing knowledge with the education abroad community and presents at national, regional, and state conferences. She is particularly interested in providing training and professional development guidance to those new to the field. Ms. Potempa received her bachelor’s degree in International Studies and her master’s degree in Latin American Studies from the University of Illinois at Urbana-Champaign. She also holds a Master Certificate in Human Resource Management from Cornell University. 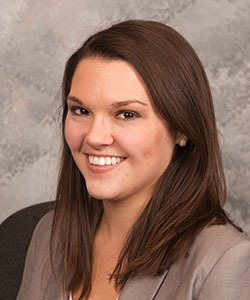 Vannessa Kramer has been in the field of international education for 10 years. As the Assistant Dean of Global Programs for the Eller College of Management at the University of Arizona, she is responsible for designing and implementing study abroad opportunities and programs for Eller undergraduate students. She approaches her position in an entrepreneurial way, recognizing that business students seek out international experiences that enhance both personal and professional development. In addition to this businesslike approach, she has great respect for the student experience and strives to deliver a high-quality, memorable, well-coordinated international student experience. Ms. Kramer manages a diverse portfolio of study abroad options including faculty-led programs, international internships, international service experiences, and study abroad partnerships. She advises for the Global Business Program, coordinates the annual Global Perspectives Conference, and is the club advisor for the Eller Global Business Association. She also teaches a Topics & Careers in the Global Environment course, in which she applies a critical global perspective pedagogy. Her areas of expertise include program development, partner collaboration, faculty training and development, risk management, comprehensive program management, marketing and promotion, cross-cultural communication, co-curricular development, pre-departure and post-return programming, study abroad advising, and student development. Ms. Kramer is currently pursuing a Ph.D. in sociocultural studies with an emphasis in global perspectives.